Building structures, whether they’re houses or commercial building or an entire development, takes a lot of effort — and time. One single building project can involve designers, engineers, architects, and subcontractors spending hundreds of hours drafting the plans and executing the build. And while this type of collaboration has the potential to take a project to the next level, it can also be problematic without proper coordination. Imagine this: A designer or architect makes a change to the project plan, only to find out later that half of the team members are still using the older version of the plan instead of the revised version. Even worse, they may be sharing documents or ordering materials based off the old version. Without a foolproof way to — quite literally — keep everyone on the same page, mistakes can be made, and progress can be stalled or even derailed entirely. Fortunately, there are tools that can help keep your project running on schedule. When utilized by an organized team with strong communication, BIM software like Vertex BD can help with time management and even reduce overall construction time. BIM keeps everything, from first-round drafts to final construction documents, coordinated and well organized. Once the BIM modeling has been finalized, the designers and builders on the project can use their experience to create accurate schedules and construction timelines — including specific delivery times, inspection dates, and internal deadlines. Bringing this level of detail to the schedule can help foster a better work flow by scheduling projects more accurately and planning out who needs to be on site and when they need to be there. Change orders is a term equally loathed by owners, developers, and contractors alike. 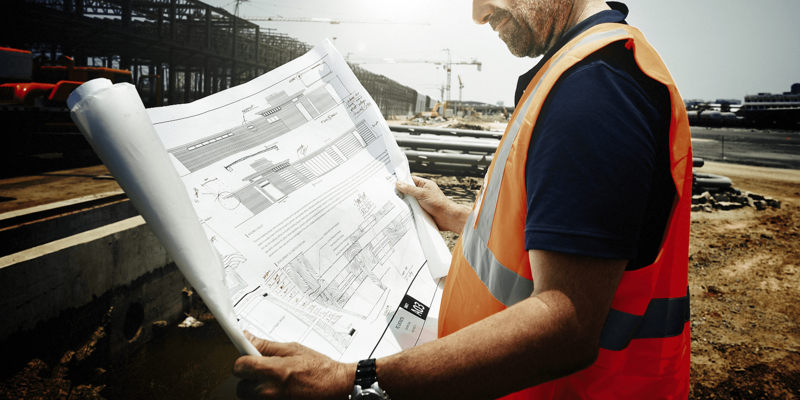 Stoppages or re-work in the field can drag down the morale on the construction site, wreak havoc on planning and scheduling, and significantly slow progress. BIM software, however, helps identify drawing conflicts, missing information, and coordination issues well in advance so you can make any necessary revisions in time to avoid costly change orders. Time is, as they say, money. If a job isn’t well documented and organized, details get missed, schedules get jammed, materials and equipment don’t get delivered on time, and crews are left standing around. The results — lost production time, unproductive labor, and, ultimately, lost profits. BIM’s biggest strength is that it keeps everything coordinated so this doesn’t happen. When you use BIM to design, specify, and estimate simultaneously, you not only save time by staying on schedule, but you are cut out unnecessary steps and possible headcount, which means you won’t pay for people and time you don’t need. Here’s the bottom line: BIM allows design and documentation to be done at the same time, and for documentation to be easily shared with every team member on the project. With this technology, schedules can be planned more accurately and communicated precisely. This level of accuracy and collaboration helps you complete projects on time, save money, and move on to your next build faster.